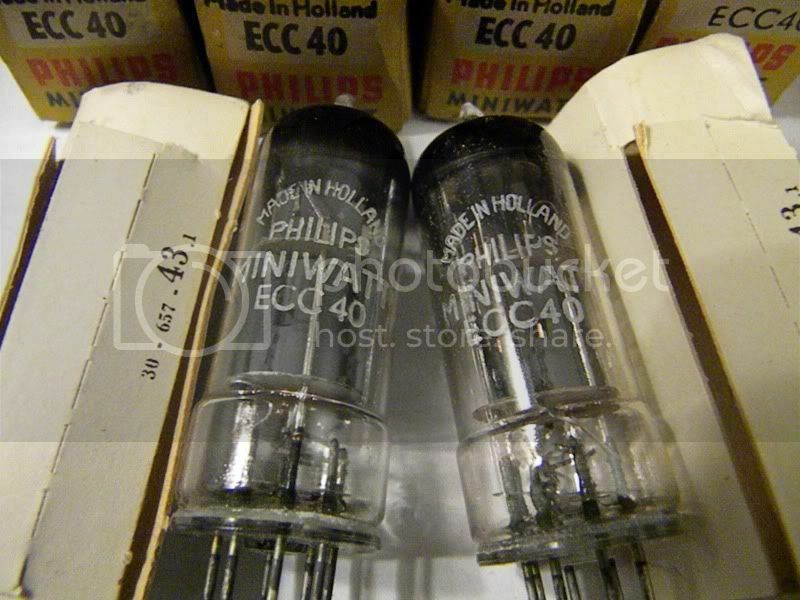 An excellent dual triode tube for audio applications with rimlock socket type. These are the oldest and best in stock. Made by Dutch Sittard factory of Philips in 1956. 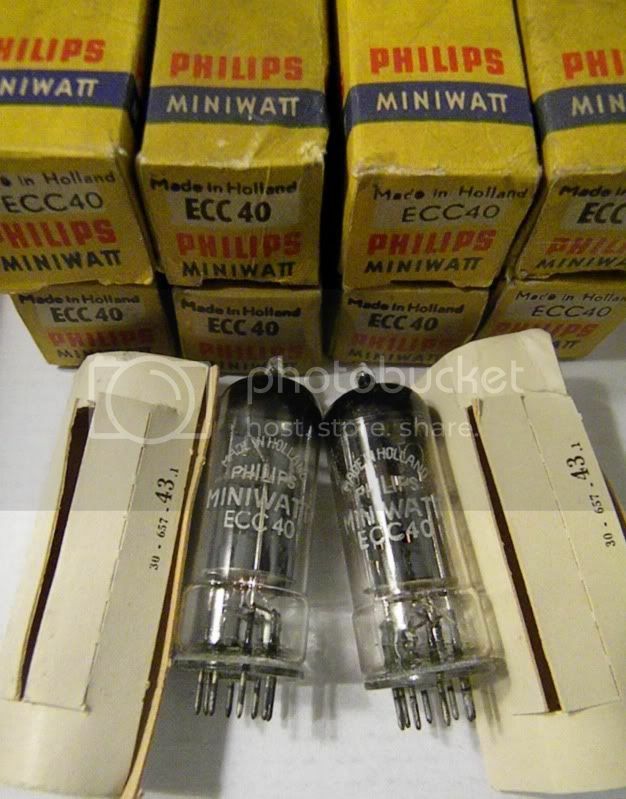 These are labeled as Philips Miniwatt. All tubes have solid disc getter and matching production codes. Matched pairs available.